When was the last time you gave your hot tub a thorough cleaning? If you’re having a hard time recalling, or if it’s been months since then, you may need to start thinking about giving your hot tub a deep cleaning, otherwise your hot tub or Jacuzzi will start harboring germs and bacteria that can turn a nice, relaxing soak into a health hazard. So grab some towels and hot tub cleaners as well as a hot tub jet cleaner and let’s get started. Hot tubs have a significant number of pipes and hoses running under and around it. Because they are typically hidden from view, hot tub owners often forget about cleaning them. When that happens, these pipes and hoses start to accumulate Biofilm, those slimy deposits and gunk that come from all the shampoo, sunscreen lotion and body oils that bathers bring with them into the hot tub. 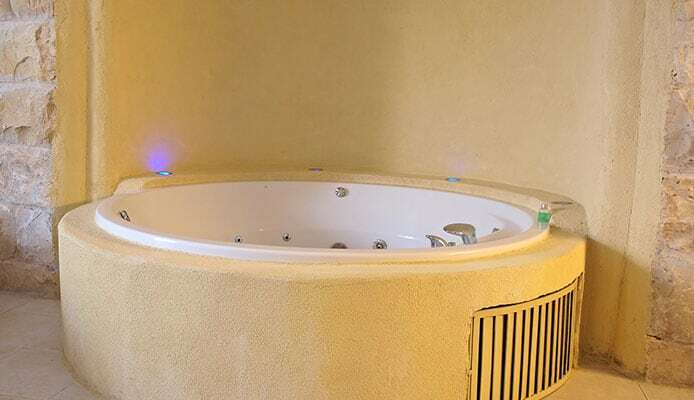 Biofilm in itself is not dangerous, but it does provide a nice haven for a variety of germs and bacteria that can cause several health issues associated with using unsanitary hot tubs. As an organic material, biofilm serves as a food source for these harmful microorganism, thus allowing them to thrive and wreak havoc on your water and overall hot tub cleanliness and safety. As part of the deep cleaning process, you’ll have to flush the pipes in order to purge it from both biofilm and the germs and bacteria thriving on them. There are various hot tub jet cleaners available which you can use. For those who are wondering how to clean hot tub jets along with their pipes and lines, well it’s a rather simple process. On the night prior to the actual cleaning, simply pour the recommended amount of pipe and jet cleaner into the hot tub and then let the water circulate overnight. Some manufacturers suggests that you do this a few hours before the deep cleaning, but just to be on the safe side, you may want to consider letting the water circulate overnight. Also, check the products labels to determine just how much cleaner you’ll need to use since different manufacturers will have different recommendations. You’ll also want to remove and clean the hot tub filter. Regardless of whether there’s a slight buildup of dirt and grime or a major one, you’ll want to soak the filter in a bucket mixed with a filter cleaning solution. Doing so will help to loosen the dirt or grime that’s stuck on the filter. Some experts recommend that you let the filter soak overnight as well. 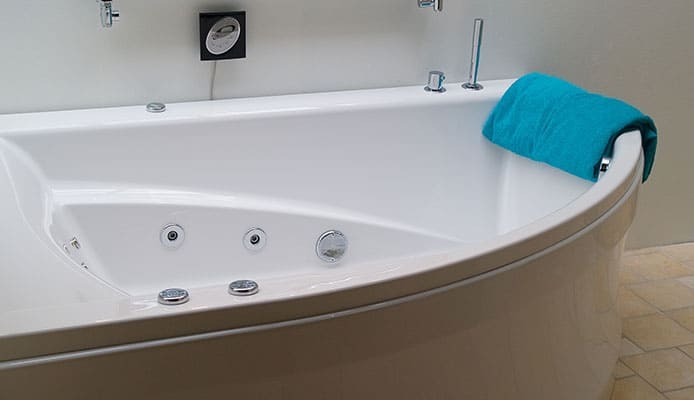 The following morning after the water has circulated throughout the hot tub and the pipes overnight, you’ll see a significant amount of gunk floating on your hot tub water. This means that the jet and pipe cleaner has done its job and that the lines should all be clear now. That said, you now need to drain the dirty water out of the hot tub by opening the drain spigot (usually located underneath the hot tub). While waiting for the hot tub water to drain, you can go on with cleaning the hot tub filter. Take the filter out of the bucket where it has been soaking overnight and rinse it with clean water. If you used a good quality cleaner, all the dirt and grime should fall off easily. For the more stubborn dirt, you’ll want to brush them off using a soft-bristled nylon brush. Don’t use hard brushes or abrasive materials since this will damage the filter and its filtering elements. After that, give it another rinse and leave it to air dry. Most of the time though (especially during the bleaker months of the year), hot tub filters may take more time to dry and may not be ready for use after you’re done draining and cleaning your hot tub. This is why some experts recommend that you have two filters are any given time so that you can use the other filter while the other one’s drying (and prepped for storage afterwards). Once all the water’s been drained out of the hot tub, wipe the hot tub surface with a dry, soft towel or rag to remove any water droplets on the shell. After that, apply a generous amount of hot tub cleaner onto the shell’s surface and wipe the whole area with a clean towel. After that, rinse the area with clean water. Make sure that you rinse it thoroughly to remove any residue that may have been left behind by the hot tub cleaner. If you don’t, then you’ll notice that the water will start foaming when you turn on the hot tub and run the jets. In order to give your hot tub shell a glossy and gleaming surface, consider applying shell protectant all over it as well. Now that you’re done with cleaning the hot tub shell and just waiting for it to dry, take some time to clean underneath the hot tub. This area of the hot tub is generally warm and dry, making it a very attractive place for small critters to hide and nest. If you see any signs that rodents may be nesting underneath your hot tub, call an exterminator right away. Otherwise, these rodents may start chewing on the electrical wires underneath the hot tub and severely damage it. Hot tub covers also get dirty over time, so you’ll want to include cleaning them when you’re deep cleaning your hot tub. There are cleaning products made specifically for hot tub covers, but you can use any regular mild dishwashing liquid. Also, apply some conditioner on the hot tub cover. This will help to keep the hot tub cover fabric to remain soft and prevent it from becoming brittle. If possible, choose a conditioner that offers additional UV protection to shield your hot tub cover form the harmful effects of ultraviolet rays from the sun. Giving your hot tub and hot tub cover a thorough and deep cleaning at least once or twice a year is a great way of ensuring that you will be able to enjoy using it for many more years to come. To make sure that you don’t forget this important hot tub maintenance practice, schedule it in your calendar and have the needed supplies like a hot tub jet cleaner and others ready. It’s much easier to get started with cleaning your hot tub when you have everything you need at hand.